Dang Jason looks hot... Woof! 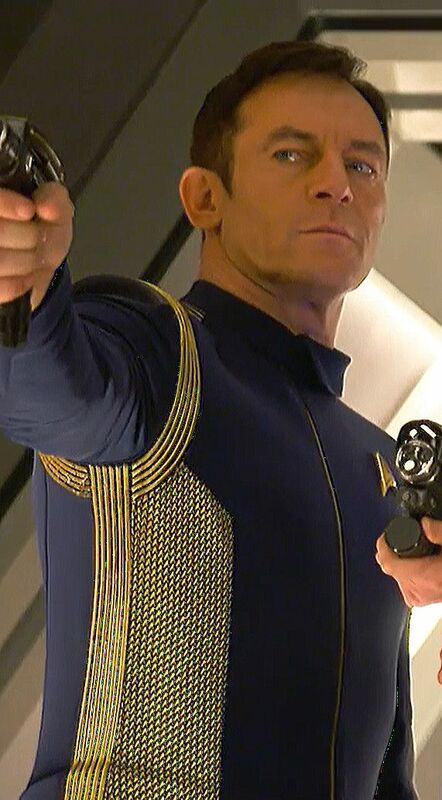 Thank god they did not pick that yellow mustard gold that Shatner had to wear! Blue looks so good! Um. Thank god he's not an alien. Imagine trying to find Jason's face under all that latex and makeup. Jason and Star Trek - two loves in one. Is it supposed to be on Netflix as soon as it's out in the USA? I saw in another article (can't remember which one) that it will be on Netflix for the rest of the world - but it didn't say when either. "CBS and Netflix announced today that the streaming service will make the series available within 24 hours of its airing on CBS All Access in 188 countries around the world, including the U.K. The catch, though, is that CBS All Access is still the only way for Americans to see the new series; there will be no Netflix airing of the show here or in Canada. The only reprieve we get is with the premiere episode, which will also air on the regular CBS network, while Canadians will get the opportunity to watch the series on the Space and Z cable networks, with CraveTV having the exclusive streaming rights." How can I get Capt. Lorca to take me prisoner?